Anyone who owns a coloured horse will probably love their coloured patches, and despair at keeping those white areas bright and clean. In this blog, we share our top tips for keeping your coloured horse or pony’s coat looking shiny, bright and clean this season. Try and keep on top of stable stains every time you groom your skewbald, piebald and paint horse. Tackling stains as and when they appear will make it easier for show day preparation. If you own a coloured horse who loves getting really dirty, it might be worth investing in horse pyjamas. These bodysuits can be worn under rugs or alone and add a layer of protection between your horse and potential stains. They won’t eliminate the problem entirely, but they will help protect against the worst of it. Having clean horse grooming brushes is also essential, so keep these maintained. After all, you will be just adding more dirt than you remove otherwise. Our brushes also have self-cleaning, anti-bacterial properties so you can focus even more time on your horse. If your coloured horse is stabled, there are a few steps you can take to beat stable stains (especially the night before a competition). Skip out at intervals if your horse is in his stable for any length of time. Removing the muck before he enjoys a nice roll in it or decides to sleep in it will save you less washing time on the morning of the show. You can also buy hoods, that will cover his face and neck and stable wraps which will protect his legs or white socks. For really dirty coloured horses, a tail wrap can defend against some of the dirt too! Some owners turn their horses out the night before a show and this, of course, banishes stable stains. Grass stains can be removed easily if, like stable stains, they are cleaned as soon as they appear. 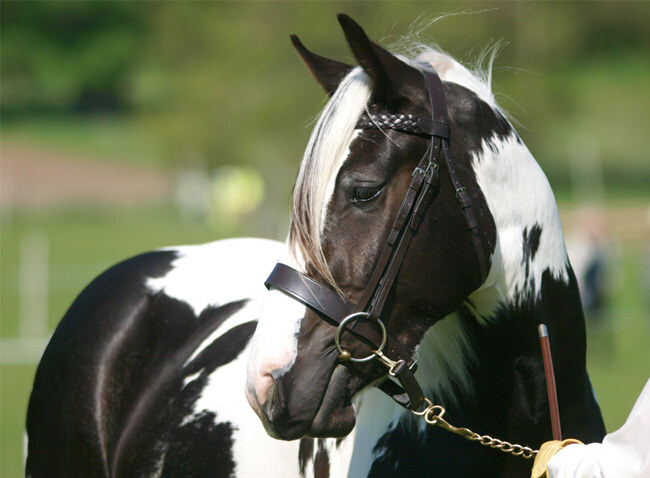 With the contrast in coat colour, some skewbald and piebald horses shine within their markings, but their white areas just don’t have the same finish. Our grooming kit works across all colours and coats because all hair is ultimately made up from the same structure. It doesn’t matter if that hair belongs to bay, black, white or dun horse. Our brushes also contain a fabulous element called Tourmaline. Tourmaline is found in professional salon human hairbrushes and is well known for de-frizzing hair and locking in natural oils for a smoother, shinier finish. We have customers who own grey horses who never used to shine, and now they gleam using our premium horse grooming tools. Enjoyed reading this blog? Discover more about why our Synthetic Bristles Are Better Than Natural.